Imagine visiting Kenya and seeing its highlights — from its bustling cities to the vast savannah — through the eyes of local storytellers. 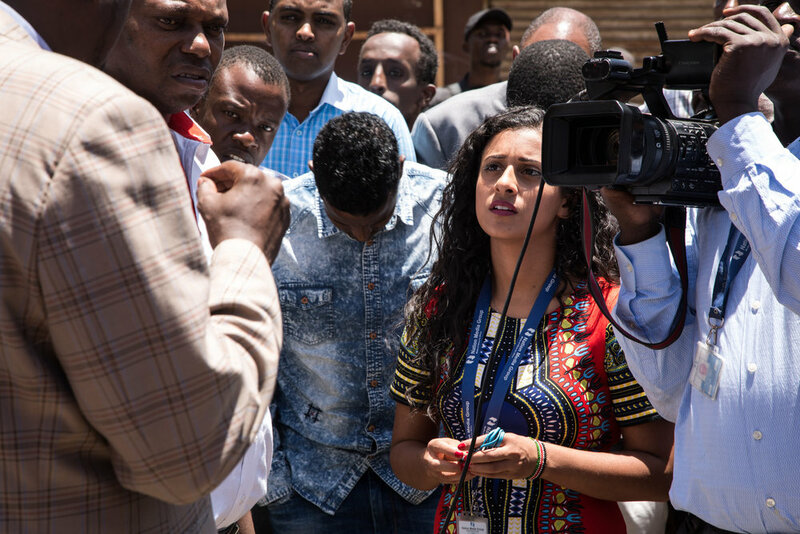 On this trip, we’ll be guided by Kenyans who are rewriting narratives about their communities and country. Join us as we travel across Kenya while learning from its best storytellers and most impactful change makers. We don’t send hundreds of people abroad every year. And we don’t do cookie cutter trips and feel-good promises. This trip is for creatives interested in learning about a country through storytelling. It’s for people who are more interested in connecting with locals than in seeing every tourist attraction (although you’ll see plenty). It’s for people who care about social justice and figuring out their role in it. 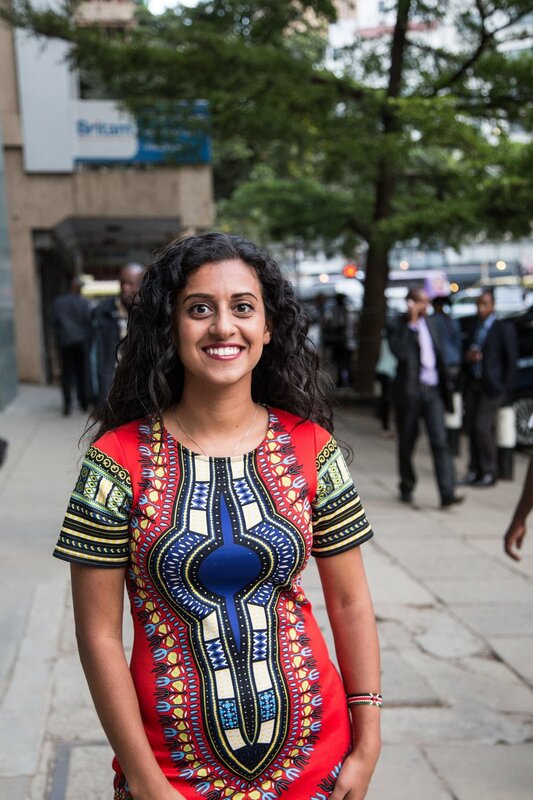 Farhana is a content creator and travel vlogger showcasing the lesser-known places in Kenya, particularly along the coast. Her fans, affectionately known as “rafikis” enthusiastically follow her adventures. Farhana is an expert at cultivating and engaging audiences and creating social media content. This one-woman multimedia powerhouse will lead workshops on media strategy and content creation. Throughout my time working as a journalist in Africa, I’ve met incredible creatives and storytellers. On our trips, you’ll learn about social justice issues while improving your media skills. And you’ll have a ton of fun in the process! You’ll visit Fort Jesus to learn about the history of colonization along Kenya’s coast and the role it played in the slave trade. You’ll also explore Mombasa’s charming Old Town, with its spice markets, tuk-tuks, and narrow streets. A day trip to Diani will give you a chance to relax and reflect on a beach with crystal clear waters. During this portion of the trip, we’ll be joined by the writers and photographers who are putting Kenya’s coast on the map. Once you’re signed up, you’ll get an info kit with helpful tips and a packing list. We’ll also send you our media and culture guide to Kenya, filled with music, movies, our favourite news stories, and a list of who’s who to follow on social media before you arrive. We’ll also have one-on-one session to answer your questions and get to know you so we can tailor the itinerary to your interests. During this portion of the trip, we’ll be joined by the writers and photographers who are putting the coast on the map. You’ll visit Fort Jesus to learn about the history of colonization along Kenya’s coast and the role it played in the slave trade. You’ll also explore Mombasa’s charming Old Town, with its spice markets, tuk-tuks, and narrow streets. A day trip to Diani will give you a chance to relax and reflect on a beach with crystal clear waters. In the weeks following the trip, you’ll join the trip participants, host, and storytellers over 3 video conferences. You’ll reflect on your experience, strengthen your network, and receive feedback on any stories you’re working on. Every trip participant will also have a custom coaching session with New Lens Travel founder Jacky Habib to discuss anything from breaking into international journalism to starting a socially conscious business. Inquire by May 10 to be considered for this trip. Not at all. We’ll be learning together during the trip. Your flexibility and adaptability are most important considerations. Our workshops will cater to people of all different skill levels. What workshops will be offered during the trip? The workshops offered will include writing, photography, and social media content creation workshops. During the intake process, we’ll get to know you better so we can plan the final itinerary accordingly. The types of workshops will be tailored to the trip participants - so there will be something for everyone, no matter your interest area. We’ll stay in a mix of accommodations from hotels to AirBnBs. You won’t be “roughing it” during this trip, but if you’re hoping to spend more time in nature, there will be an option to camp under the stars for a night. We also have a New Lens Travel staff member lead every group trip to provide 24/7 support and act as an emergency contact. Whether you're homesick or literally sick, your trip leader will be there to support you. EARLY BIRD PRICING UNTIL APRIL 28: $1895 USD.